Create and control this special light between your fingertips, making it do baffling tricks. Make a mysterious red light appear from anywhere and make it jump from hand to hand. Or make it go in one ear and come out the other, or even your mouth! Magically control the light, appearing or disappearing the light at will. This amazing Marvin`s Magic illusion is perfect for those who don't have to learn sleight of hand tricks. 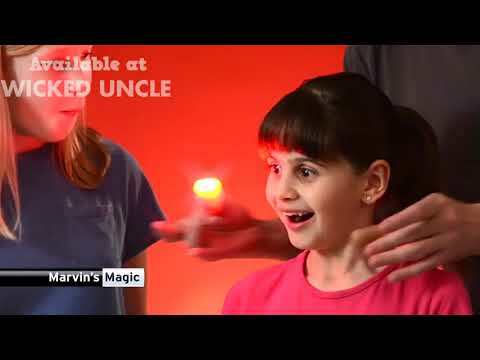 Amaze and astound your friends and family - illuminating magic!